It’s time you asked for a raise. Most hard-working employees simply aren’t earning what they should be. Wages haven’t kept up with the rate of inflation, everything costs more, and employees simply aren’t earning what they need to be in order to be living the same lifestyle that was afforded to their parents just a generation ago. According to Forbes, employees are, on average, making less every year. Estimates are that your standard 3% raise actually is less than a 1% raise thanks to inflation. Have you been at your job for two years or longer? Expect to earn about 50% less over your lifetime compared to your counterparts who change jobs every few years. Don’t become part of the statistics. Instead, work on increasing your salary by being proactive about your career. 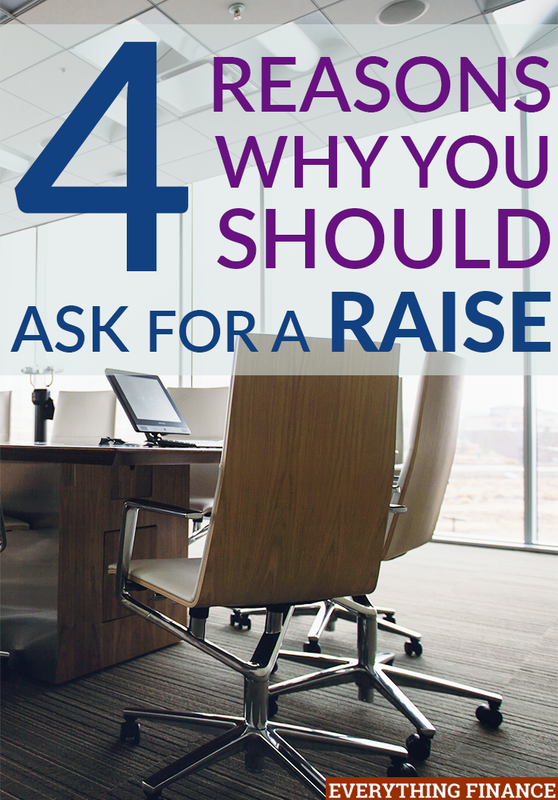 Here are four reasons why you should ask for a raise. When you command a higher salary, your boss recognizes that you value yourself as an employee. If you’re a valued and hard-working employee, many bosses will want to keep you and give you a higher wage. That’s easier than having to search for a new employee and train that employee to do your job. Especially because they’ll be taking a risk if that employee doesn’t do as good of a job as you do. The higher your starting salary, the more money you’ll earn every time you ask for a raise. For example, if your starting salary is $100,000, a 3% raise will net you an extra $3,000. But if your starting salary is $110,000, a 3% raise will net you $3,300. That’s an extra $300 a year. That may not seem like much, but year after year, those $300 increases grow bigger and bigger because each subsequent raise and promotion will be based off a percentage of your most recent raise, not your base salary. If your company is doing well financially, there should be no excuse that they can’t give you a raise. Be prepared with facts and information about the company’s financial standing before talking to your boss. Not only will this give you more clout in asking for a raise, it will show your boss that you did your homework and that you are well-versed in the company’s financial standing. Asking for—and receiving—a raise demonstrates to you that the company values you as an employee. Receiving a raise will make you feel more confident in your worth as an employee to your company. You won’t have to worry about job searching and can focus on providing the best work for your company. Bottom line: there’s no reason not to ask for a raise if you’ve been working for your employer for over a year and have proven your worth. When is the last time you asked for a raise? What reasoning did you use to get one? Do you value yourself highly?